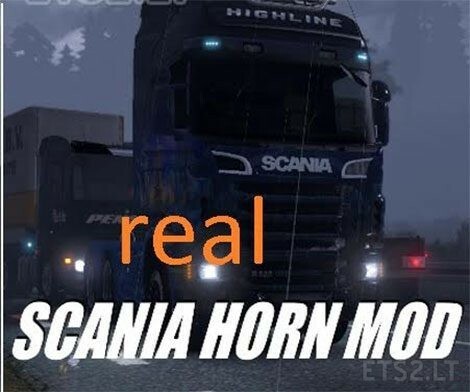 Horn made for SCANIA.. Real horn. This doesn’t work with the streamline, it only works for Scania.R , Scania T (mod) and a few others. It can only work with Scania’s that don’t have V8 Engine.